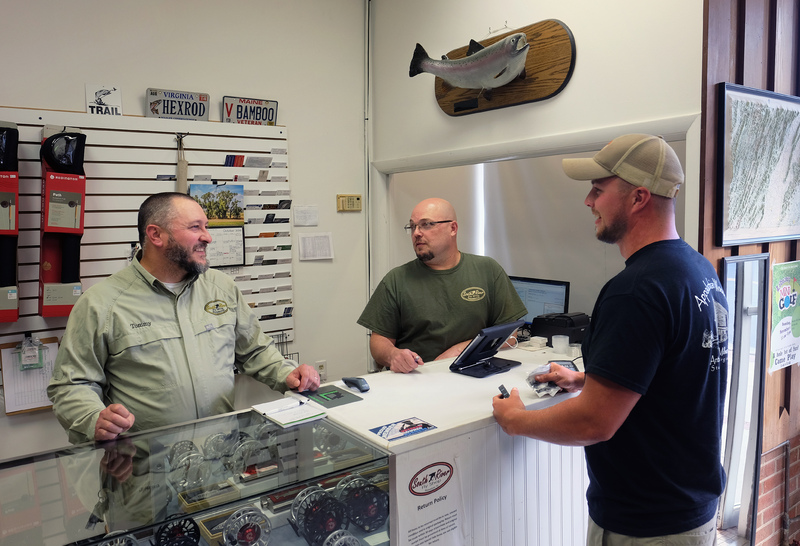 South River Fly Shop is the kind of store where you smile when you cross the threshold; the love and passion of its owners, Kevin Little and Tommy Lawhorn, is almost palpable. 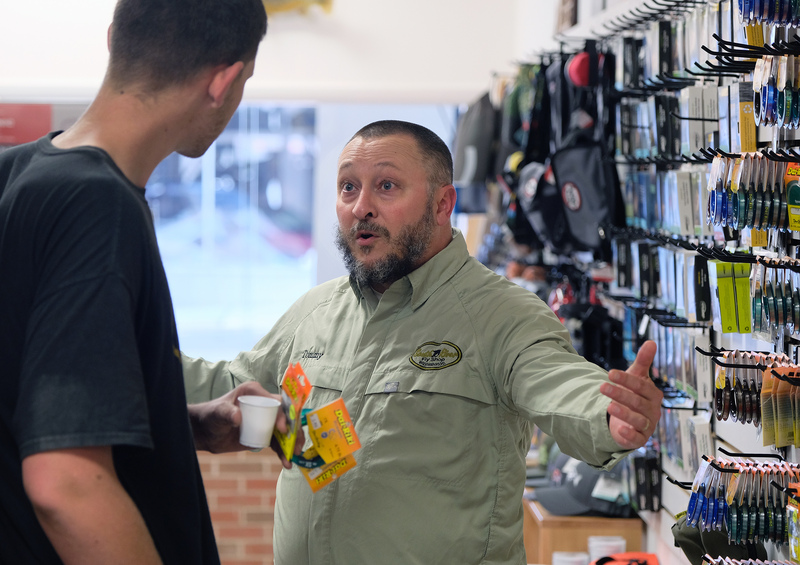 They’re happy to provide fly fishing knowledge, equipment, instructions, and resources if you’d like to buy them, but don’t be surprised if among the best things you leave with are big fish stories and a new friend or two. What’s to Love about Entrepreneurship? They still remember, ten years ago, walking up Main Street from the South River in fishing waders, dripping water, carrying rods, and making their way to Sam’s Hotdogs for lunch. They passed many empty storefronts in those days, and always thought to themselves, “We could do this.” Their pride in the store is almost as obvious as their love of fishing. Tommy and Kevin have worked hard to make the store serve double-duty as a community gathering place. “Ties and Lies” is a weekly event where fishermen gather to craft bait and spin tales. A strong community and network of partnerships have grown out of these efforts, from a collaborative and cross-branded beer with recently opened Basic City Brewing, to a local artisan of Paddle n Potter whose fish-covered ceramic items decorate the shelves. 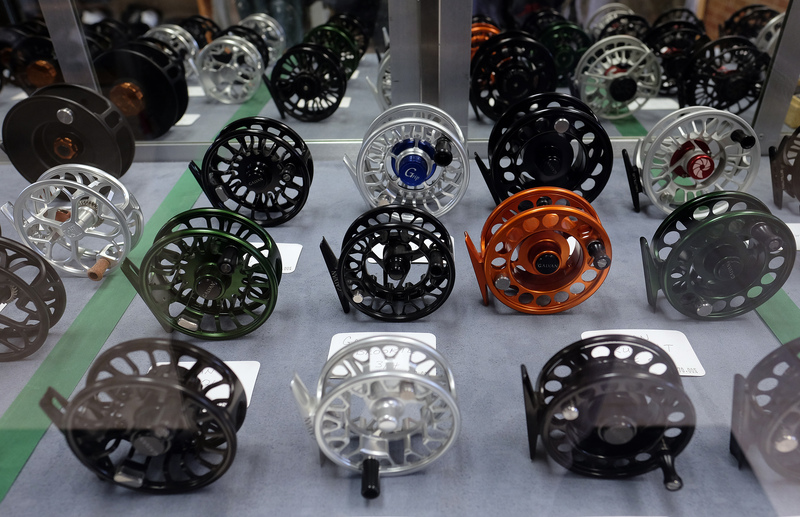 While quality rods from small-scale US manufacturers are some of the shop’s prize inventory, they’re happiest to share that 30% of their sales are for items priced between $3 and $8, proof of the ongoing and frequent visits of regulars who just love to tie their own flies. Kevin’s and Tommy’s biggest reason for locating in downtown Waynesboro is clear: “We are the South River,” says Kevin. Today, their store sits two blocks from one of only two urban trout fisheries in Virginia, home to the majority of the trout-only fly fishing waters in the state. That’s no coincidence. Four years of grassroots organizing, emanating in no small way from the Fly Shop, helped change Virginia Department of Game and Inland Fisheries regulations to more than double the trout-only fishing waters in the State, the growth of which was all focused on South River waters flowing into downtown Waynesboro. Having a business partner that shares one’s passion has clearly been an advantage to them both, and they recount times when one or both have adjusted work schedules and store involvement levels based on early years of tighter cash flows. It’s clear that they have always worked to support three things: the health of each partner and the health of the store. Interested in learning more about Kevin Little, Tommy Lawhorn, and the South River Fly Shop? Visit their website, southriverflyshop.com. 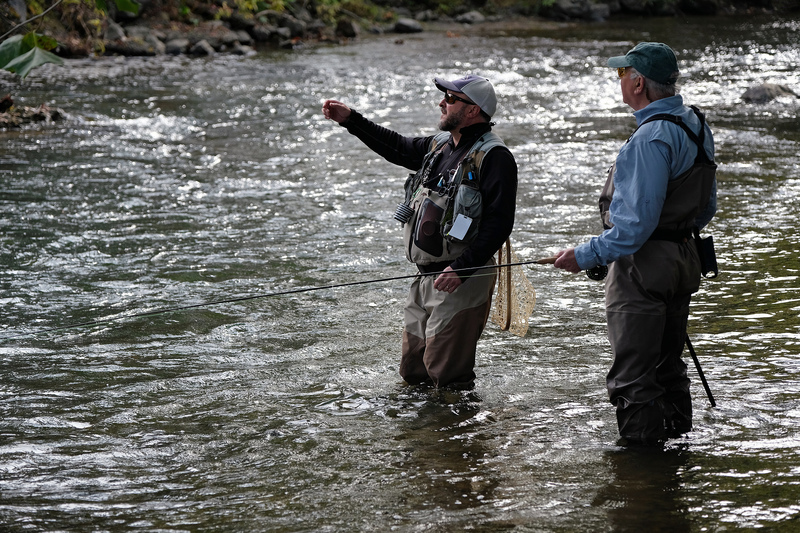 Don’t be intimidated if you haven’t yet caught their love of fishing–among their many other services, guided days on the river introduce the novice and the expert to our local fly fishing waters. Please call us at 540-942-6515. We always stop at the fly shop when we travel from northern Virginia to fish the South. Kevin and Tommy always greet us like old friends. Had the opportunity to have dinner downtown the other night and was surprised at the vitality of the area. I like that you mentioned the difference a great staff and helpful employees can make in a fishing shop. Many people are looking to just get into the sport like myself. We can learn a lot from these people’s expertise.